Can't get the Don Don Donki's theme song out of your head? Well, the incessant tunes of the earworm will soon plague the Tanjong Pagar district with the launch of Japanese discount chain's second outlet in 100AM Mall! Officially opened on 14 June, the second outlet has indeed fulfilled the foretelling of its existence, first mentioned during the chain's debut in Orchard Central back in November 2017. Singapore is still the only Southeast Asian country that carries the Don Don Donki name, where 10 more stores are set to be erected in the next four to five years. Thailand will soon see its very own branch in November 2018. So what's new at the 100AM Mall outlet? 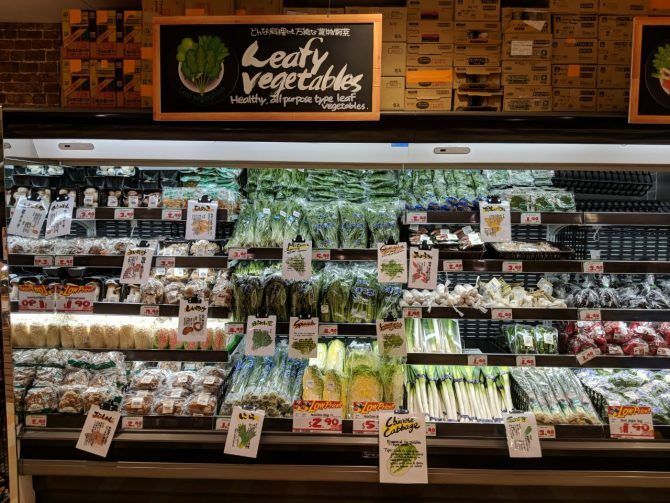 With its extensive range of fresh produce, beauty fixers and other gizmos, just to name a few, the discount store offers pretty much the same as the Orchard Central counterpart. The only distinct difference is the new outlet's strategic positioning as a culinary stop for busy urbanites in the area. Exclusive to the 100 Am Mall outlet, Don Don Donki has introduced its 'Japan Mobile Foods' corner, featuring cooked Japanese bites for CBD's office crowds to grab-and-go. "We want to provide some kind of Japanese food that you can eat with one hand," elaborates Director of Pan Pacific International Holdings Hideki Okada elaborates at the opening ceremony, where he demonstrates by holding a microphone in one hand and a cut-out cupboard of a Japanese snack in the other. 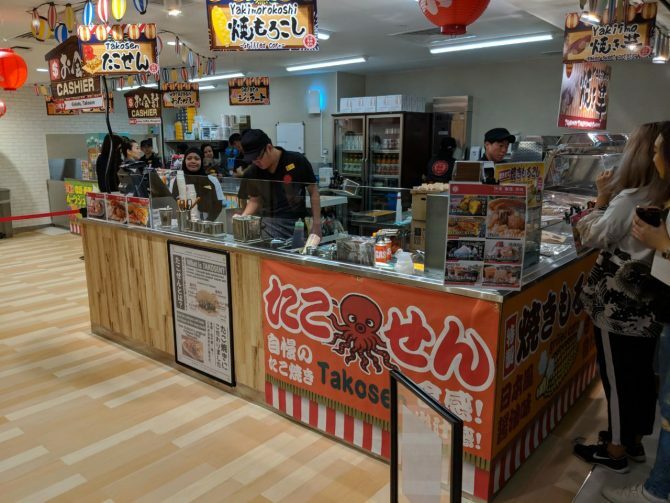 And so it seems, gleaned from the culinary concept's offerings of favourites such as Japanese sweet potato ($2.80) and fruity gelatos (from $3.90), plus new ones including Watagashi (from $2) - Japanese cotton candy, and Takosen ($2.90), featuring octopus takoyaki sandwiched between Japanese crackers. 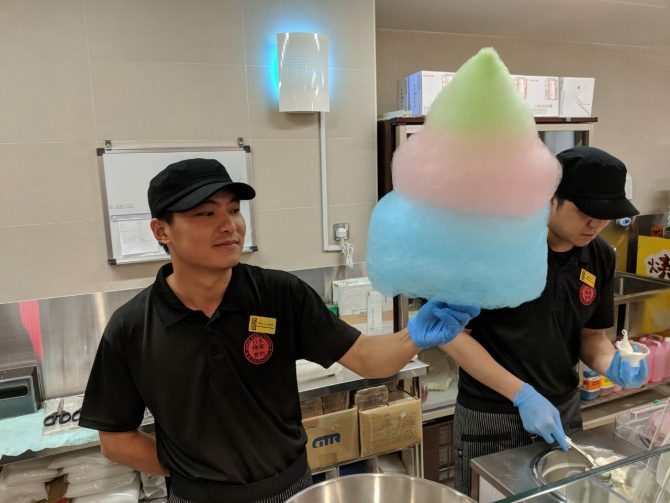 There are a total five edible food items available at the new culinary concept, including Yakiimo (Japanese sweet potato,$2.80), Yakitmorokoshi (grilled sweet corn with soy sauce, from $2), fruity gelatos (from $3.90), Watagashi (Japanese cotton candy, from $2) and Takosen ($2.90) -an octopus takoyaki sandwiched between Japanese crackers. Beverages are served as well such as fruit juices (from $2) in flavours of apple, grape and even the intriguing Japanese Basil, and affordable coffee in different variations (from $1) via a coffee machine. The coffee beverages are made using Hokkaido milk, also available in cartons in the store.